In recent years, Chinaâ€™s economy has continued to develop at a rapid rate, and many industries have developed rapidly. Among them, the growth rates of the real estate, shipbuilding, automobile, and wind power industries are among the highest in the world. This has led to the construction machinery transmissions, marine gearboxes, and automobile transmissions. The rapid growth of gear products such as wind power gearboxes. After a period of oscillating fluctuations, the gear steel market has gradually stabilized and the prices are basically stable. The manufacturers have expressed their expectations for the domestic domestic gear steel market. Operators and people in the industry believe that with the steady growth of China's economy, the continuous development of the machinery manufacturing industry, and the increasing demand for gears, will inject a powerful driving force and vitality into the gear steel market, and the future market will be huge and have broad prospects. According to research conducted by operators and industry insiders, since late February, the price of gear steel in some regions has oscillated. For example, in Shanghai, the price of hot rolled gear steel (20CrMnTi) 30mm-50mm from 4650 yuan / ton, once fell to 4450 yuan / ton; hot rolled gear steel (20CrMnTiH) 20mm-90mm price from 6400 yuan / ton, down To 6200 yuan / ton, after this price has been maintained. Recently, the gear steel market in various regions has generally stabilized. For example, in the Chengdu market, the price of gear steel (20CrMnTi) 25mm-85mm is maintained at 4,630 yuan/ton; the gear steel (20CrMnTi) in Jinan market is 28mm-65mm at 4,400 yuan. / Ton; In the Wuxi market, the same material for the gear steel 16mm-40mm price 4500 yuan / ton; Beijing market gear steel (20CrMnTi) 85mm-110mm price 4400 yuan / ton; in the Hangzhou market, hot rolling gear steel ( 20CrMnTi) 80mm-100mm price 4,500 yuan / ton. The market price of gear steel in Chongqing market is stable, of which 110mm (20CrMnTi) offers 4660-4690 yuan/ton. On the whole, the current market price of gear steel does not fluctuate too much. In some regions, gear steel is out of stock and there are few goods. For example, gear steel produced by some large special steel mills has many specifications that are out of stock in the market, like the Great Wall. 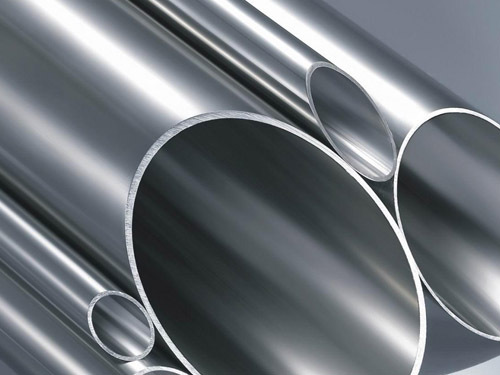 Special steel products such as Special Steel, Xingcheng Special Steel, Xining Special Steel, Shougang Special Steel, and Shigang have fewer stocks or goods in the market. According to a follow-up study conducted by the marketing management department of CITIC Pacific Steel Group, the recent market price index for gear steel has increased by 0.7 points from last week. From the monthly index changes, the gear steel price index rose by 3.4 points from the previous month, showing a trend of steady increase.